Spoonerang: Hit 4: Roll a die and deal 10 damage times the number shown on the die. 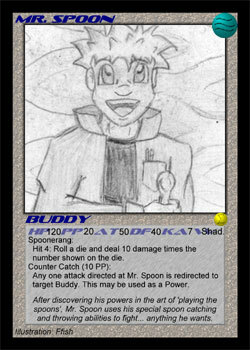 Counter Catch (10 PP): Any one attack directed at Mr. Spoon is redirected to target Buddy. This may be used as a Power.